Handy Ant Home Maintenance and Painting, janitorial service, listed under "Janitorial Services" category, is located at Drummartin VIC, 3570, Australia and can be reached by 0439503226 phone number. 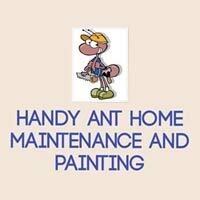 Handy Ant Home Maintenance and Painting has currently 0 reviews. Browse all Janitorial Services in Drummartin VIC.